Flaunt your flawlessness and take a sinful step to the wild side in the Bally™ Ianna Heeled Sandal. Stunning, multi-colored and interwoven straps at the vamp. Lightly cushioned leather footbed with brand logo patch. 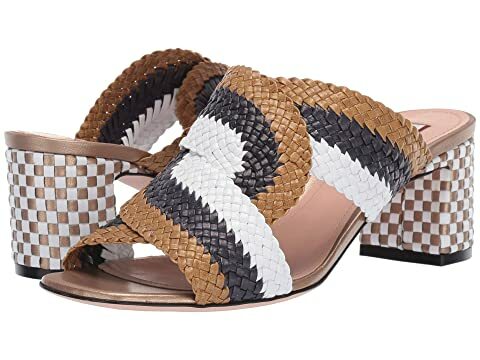 We can't currently find any similar items for the Ianna Heeled Sandal by Bally. Sorry!